Our mission is to demonstrate Jesus’ love by working with marginalized people in developing countries to equip them for self-sustainable life. Our vision is a world where every person has access to safe environment and the knowledge of Jesus’ sacrificial love for each individual to provide eternal life. By Provision is a non-profit ecumenical Christian organization that exists to enable people to sustain a quality of life that they can perpetuate. Our objective in any project is to create ownership in the community. We implement this by requiring volunteers from the community who will benefit from our services. This method has many advantages: it teaches new skills, builds community relationships, and develops responsibility to maintain an ongoing project. Our programs are designed to be a tangible, visible expression of God’s grace. Biblical teaching is integrated into our projects, giving participants a chance to respond to the Gospel. Only a personal relationship with Christ changes destinies and saves lives physically and spiritually for time and eternity. By Provision was formed in 2000 and granted non-profit status in 2003 (EI #68-0538811). 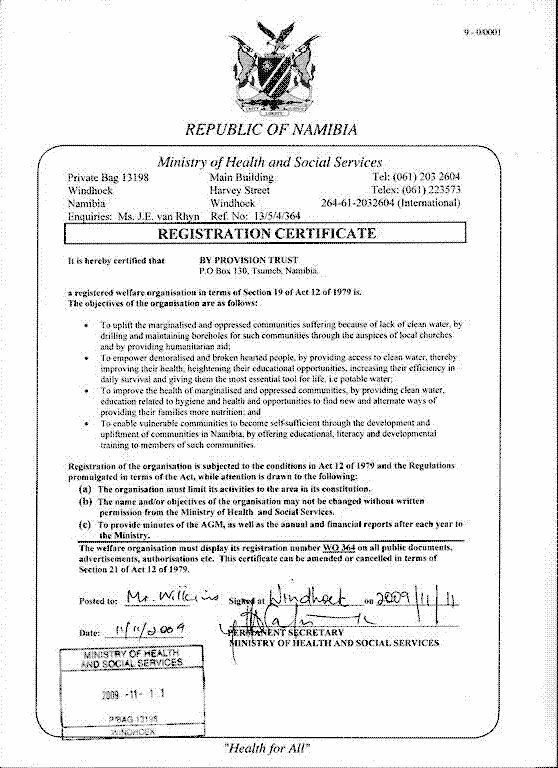 In Namibia By Provision is a registered Welfare Organization (Welfare Organization Certificate). The IRS NTEE code is P80 (services to promote the independence of specific populations). Today, By Provision has volunteers, in the US, Central America, and Africa, from a wide range of backgrounds including teachers, small business owners, hydro-geologists, engineers, doctors, marketing specialists and students. 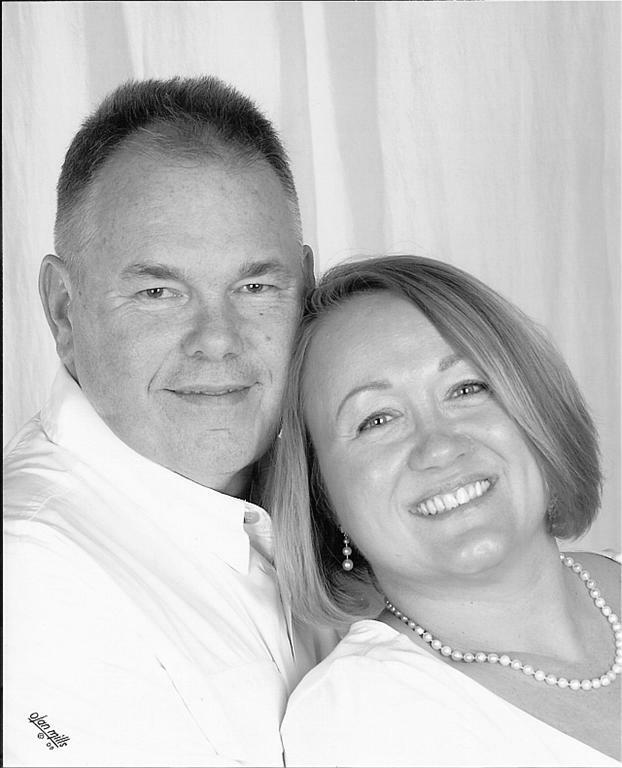 Gary and Elizabeth Wilkins founded By Provision in 2000. Throughout their adult lives they have been dedicated to local, national, and international mission endeavors to take the Gospel to the ends of the earth. Their local church and community was the starting point as they strive to instill a love and sense of responsibility in their children, family, and friends to live out Matthew 28:19 & 20. Gary was an entrepreneur that took every opportunity to share the gospel with his workers, friends, and anyone he met. In addition, Gary gave generously to missions. In 1990 Gary went on his first mission trip. The task was to dig water reservoirs in remote villages of Mali, Africa. This trip was the turning point in Gary’s life. He felt called to do missions and realized he needed to refocus his life. Gradually giving more and more time to missions in 2000 Gary decided he needed to be committed only to missions. Elizabeth always held a ministerial job related to missions and gave her leisure time to serving Hispanic and Korean congregations in the US, in addition to overseas projects. She readily agreed to leave the familiar behind and follow wherever God led them. Gary and Elizabeth prayed God would use them to minister to people in places others were not willing to go. God answers prayers. God took them to Angola before the war ended. 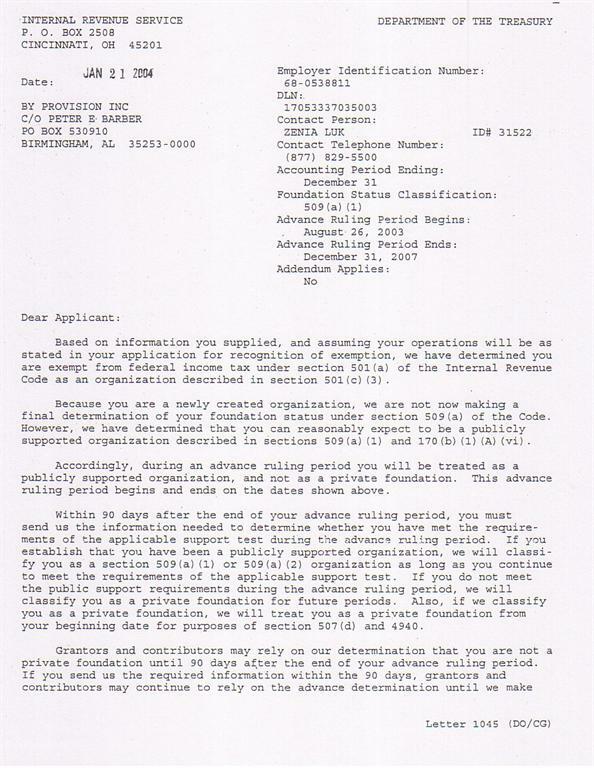 After a couple of years of praying and organizing, By Provision became a non-profit corporation and was granted tax-exempt status as a 501(c)(3) corporation by the IRS in 2003. The EI number is 68-0538811. 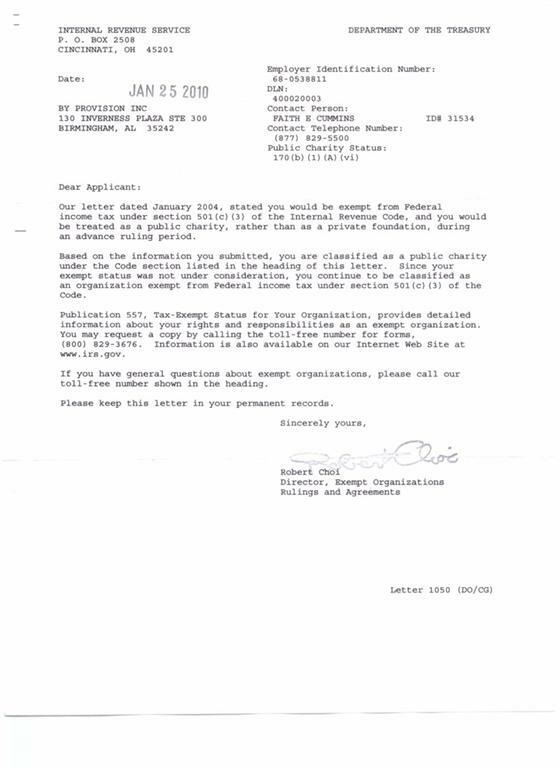 The 501(c)(3) final determination letter was issued in 2010. God has blessed By Provision tremendously in the past few years. With grassroots funding, volunteers, and partners, By Provision has seen thousands of lives transformed by clean, safe water and the living water of Jesus Christ.